When it comes to marketing and leasing apartments Craigslist might be your best source—but it’s not the only game in town. Zillow.com, HotPads.com, Rent.com, Apartments.com, your own website and social media can all generate good traffic. But have you explored new resources and strategies lately? Movie theaters (place an ad during the “pre-show entertainment”). Ridesharing apps such as Uber and Lyft (enormous advertising potential). Coffee shops (put your property ad on cup sleeves). For example, Denver B-cycle, which was the first large-scale municipal bike sharing system in the United States, is a hugely popular program especially among young urban residents. This wouldn’t happen to be your target market would it? There’s nothing worse than seeing prospective renters keep driving right on by at 30 miles an hour after a quick glance at your property. Five seconds is all it takes to make a negative, and lasting, first impression. Curb appeal is one of the most important things in property marketing and leasing. Presenting an exterior that meets your target markets’ standards must be one of your biggest priorities. You can develop incredibly creative ads that draw potential renters in droves yet lose them before they reach your front door if your apartment community has no curb appeal. Add outdoor planters that are stuffed full of colorful flowers. Put up modern signage (yes, maybe it’s time to get rid of your old dated signage). Offer mobile friendly ways to contact your leasing agent. And don’t forget the people who walk by your property every day. If they’re walking, chances are they live in the neighborhood. It’s a great idea to hold an open house at your property—especially if you have fantastic curb appeal. Put out a sandwich board with balloons and grab the auto and foot traffic on busy weekends. When a local merchant learns that you will promote their business to your community they will embrace the idea of cross promotion. Local employers are especially happy when their employees live in close proximity to work. Proximity to work contributes to less tardiness and fewer missed days due to bad weather. Offer to waive your application fees for employees of participating merchants. Include coupons or flyers of the local business in new resident welcome packages. Put a “Welcome to the community! Enjoy dinner (or a discount etc.) on us!” note in all new resident packages. Offer local merchant discounts or gift cards to new and renewing residents. Offer a referral fee to merchants. Post your apartment building ad on notice boards or shopping carts. Include your ad in company flyers and mailings. Provide word of mouth advertising. The extra effort spent in meeting your local merchants can be rewarding on both a personal and financial level. Your current residents can be your most influential marketing group. Sending occasional thank you letters to your residents will help establish a sense of community. But it goes beyond creating happy feelings. When your resident loves where they live they will tell their friends and family. Establish a referral incentive program at your property where each referring resident gets a gift, bonus, or rent discount. Hosting a resident referral party. Sponsoring a community yard sale. Holding open houses with tours of the property. When you receive a compliment from a resident be sure to ask if they would be willing to share it online. Some property management companies have amazing branding. Find out who they are and hire them—or watch them closely so that you can model their branding. These are the management companies that offer the “cool” factor to their residents. Sometimes the branding is as simple as offering a “green” element to living at their communities. For example, recycling programs are a very inexpensive and desirable service to offer at your property. You can create your own buzz and cool factor by offering something as simple as pre-leasing. 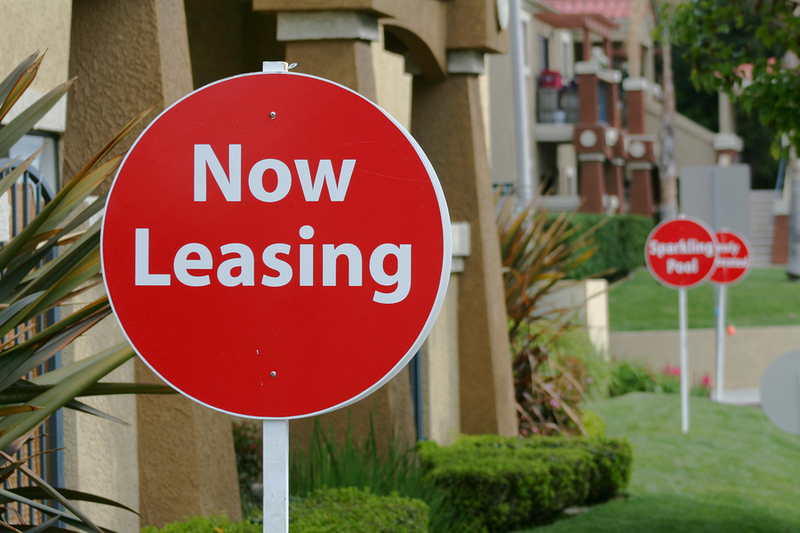 Include text such as “Now Pre-Leasing for Large Two-Bedrooms” in your online advertising and on your property signage. It may not seem like a big deal but pre-leasing can tell prospective residents that they are with a proactive management company. It also implies that your property is a desirable building to live in because people want to sign leases months before they are able move-in.